Early in my audio journey, I found it ludicrous that one would spend any kind of money on headphone or IEM cables. My opinion was that it should sound best as stock because I’m sure these manufacturers have researched, tested, and launched their products feeling confident about their out-of-the-box sound signature. After all, a lot of the rave reviews about these headphones were based on their stock configuration. Why would anyone want to meddle with that? 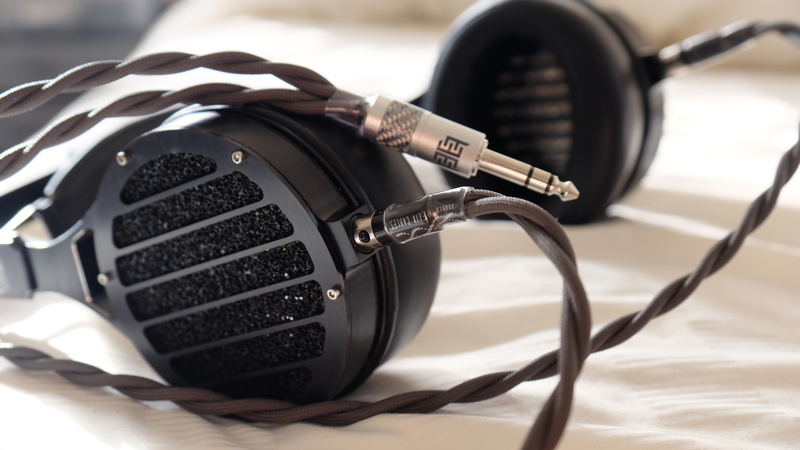 Well unsurprisingly, everything in the audio world (including the power from your wall) changes the sound of your components, including your headphones. Oftentimes it’s only after months of listening when you start to realize the stock configuration is no longer palatable. The option of being able to change the sound without substantially altering the innate sonic capabilities of the transducer is a great option to have. I’ve found that headphone cables could change the sound so drastically, it literally transforms it into a different pair of headphones. My first major experience with this was with the JPS Superconductor HP cable for the Abyss headphones. It sounded very thick and borderlline dark in comparison to the leaner and brighter stock cable. 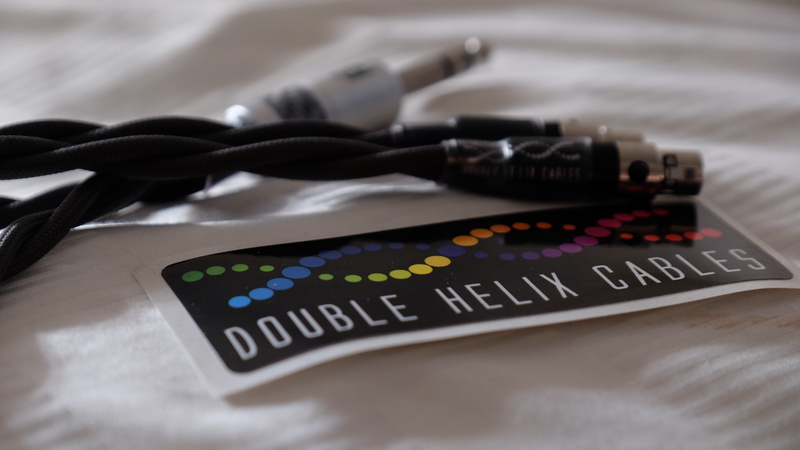 The goal with DHC’s wires are to offer the best wire physically, regardless of whether or not you believe in cables. 1. Metals purity. OCC process metals require a very high purity starting stock. The only true OCC wire begins with pure silver or pure copper. These metals are the most conductive, and avoiding contaminants and alloys maintains optimal conductivity. 2. Continuous casting process. Molten copper or silver is drawn slowly from the furnace into heated molds so that it cools from the inside out rather than the reverse, forcing it to crystalize into a single crystal up to 100 meters long. The theoretical benefit here is reduced resistance and capacitance from having a less disjointed crystal structure on a molecular level. Even after the material is drawn and annealed it has fewer crystal junctions than a conventional wire. Objectively this wire’s structure is more consistent, so why not use OCC? 3. Litz wire. All of DHC’s retail cables have a thin, invisible enamel coating on each strand which prevents oxidation. This keeps the cables from degrading over time and maintains their appearance. 4. PE, cotton, and Teflon dielectrics. Flexible PE insulation is the best blend of performance and comfort for the majority of our cables. Our most advanced cables use a combination of dielectrics, such as the Complement4. That sounds great and super nerdy, but all I care about is the perceptible result. I had four cables on-hand that are compatible with the Abyss. Now I’ve reviewed most of the other cables in this line-up. After listening to so many third-party cables, the stock cable just sounds unacceptable. You’re much better off with any of the other three. The Double Helix Cables Complement4 was the most interesting of the bunch. Each cable is meticulous hand-built by a man named Peter Bradstock and his wife. Some wait times go beyond 12 weeks and the entire time, they’re just busy making cables. Initially it looks like DHC is a huge shop but nothing could be further from the truth. How could a boutique shop like this produce a cable worthy enough for audiophile ears and your flagship headphone? Peter uses UPOCC grade silver, which is the purest silver that can be purchased. There are only three places on earth where they could be sourced. They are also not stranded but continuous cast silver. A single one meter length at 20 gauge runs close to $400 just for raw materials and you’ll typically need three strands for headphones. The cables suddenly don’t seem so outrageously priced. 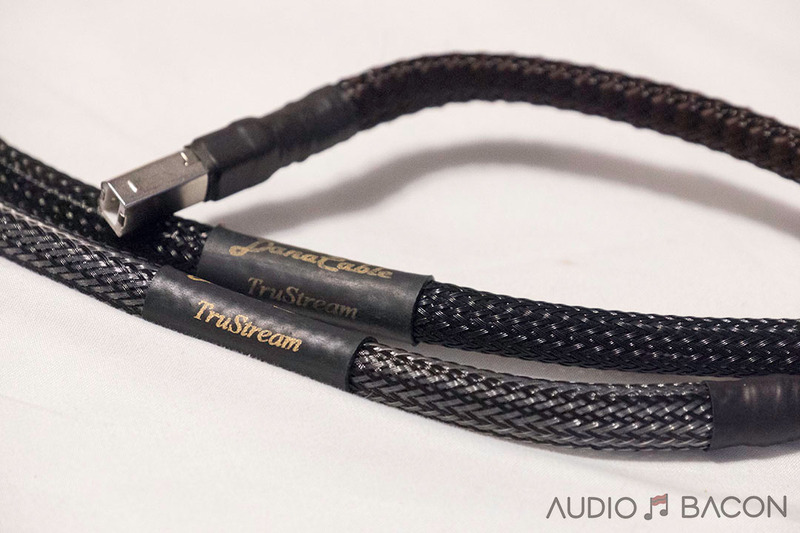 The look and feel of the cable is one of luxury and elegance. I love the charcoal gray sleeving (which looked like an arduous task to fit). The connectors were solidly built and the entire cable exudes of master craftsmanship. The headphone-end connectors weren’t as easy to clip in as the PETEREK ones but it has gone easier after swapping out a few times. Overall, I love the look and feel of this cable. The cable also came with a few goodies. 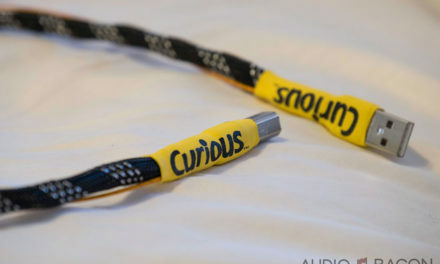 I have to say, it’s a really neat touch given that I have an idea of the cost and labor involved in making this cable. I believe it’s these extra steps that get customers to really appreciate your vision and what you have to offer. I was a bit afraid of purchasing a silver cable because of the myths that have been passed around regarding brightness. The PETEREK cable was made of pure OCC copper and it was already a bit bright for my tastes. This silver has the opposite effect from what the stereotypes for silver dictate – it is actually smoother than copper – more liquid yet more transparent & defined. That is the first thing I noticed when I tested it – you can’t produce fatigue with it. In case you aren’t aware, I’m particularly infamous for my raw notes because it gives the readers insight and context on evaluations. It’s not inclusive of all my test tracks but it gives you enough of an idea of what the differences are. The cable wasn’t bright at all, my copper PETEREK was brighter. When you first hear these cables the first thing out of your mouth will be “Wow. So this is what holographic means.” I guarantee it. Extremely low noise floor, it’s like infinite black. An enormous soundstage, it’s a huge sound. It is absolutely boundless. Ridiculous transparency with the capability of resolving ultra-fine details. Amazing resolution from top to bottom. No other cable I’ve heard even got close to this amount of detail. An insane amount of extension on the low and high ends. All actors (singers, instruments, etc) have their own space, allowed to create their own air, and imaged to perfection. Extremely well-balanced without an emphasis in any particular part of the spectrum. Transients were quick and effortless. The overall tone is very clean and fluid. It’s an engaging and high-energy cable. It’s being there with the music. Amazing grip and vibrant textures. The only deficiency I uncovered was the lack of naturalness in the vocals. Now this could be due to the actual master of the recording where it could’ve been mastered with warmer gear. This would mean the cable is just being transparent and presenting the truth. Nonetheless, there was a point I actually preferred the Danacable because it gave off this very humanistic tone which elicited a deep emotive response. Overall though, the Complement4 checks off way too many boxes to not be my first choice when listening to the Abyss. When I’m listening to more vocalists, I’ll grab the Danacable from time to time. Now I’ve tested and evaluated a ton of gear in short periods of time. The rare occasions when something special shows up, I’ll know it immediately. The Abyss headphone was one such device which I discovered in my shootout. I could now proudly add the Complement4 to that list. 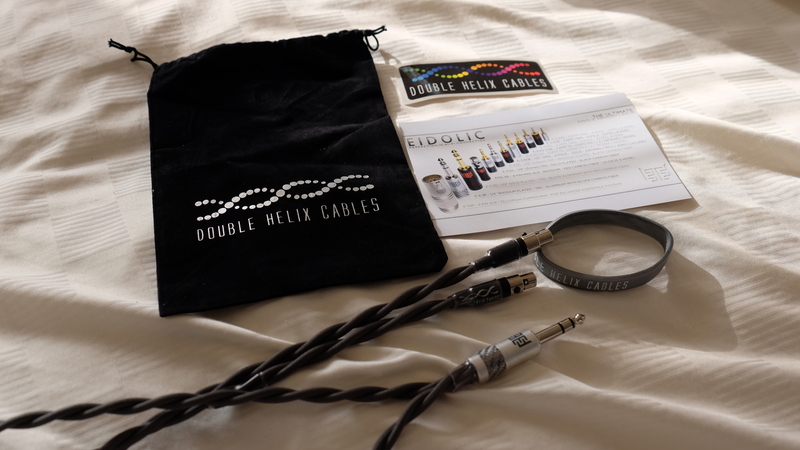 Given its performance, it actually looks more like a value compared to some of these other high-end & expensive cables. 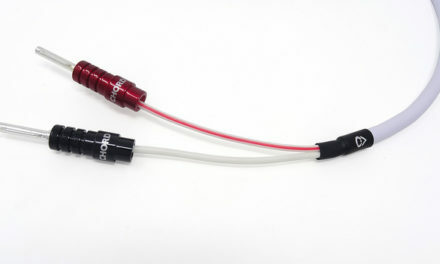 Now I’m curious as to whether I should order a pair for my custom JH Audio Angies. Sirens are now going off in wallet. 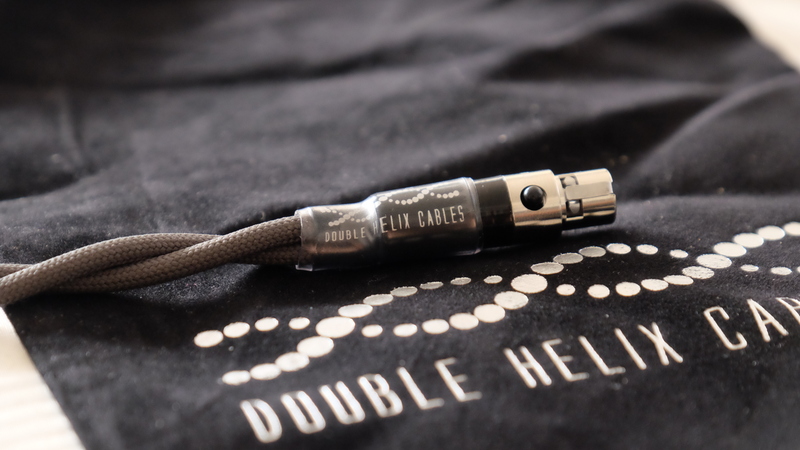 The Double Helix Cables Complement4 cable is one of the masterpieces in headphone world. It is by far the most transparent, energetic, balanced, revealing, and quickest cable I’ve ever heard. It gives you an eerie sense of “being there” with the performers. It never stops amazing you with its capability of resolving the tiniest of nuances in a recording. It’s beyond an X-ray to the music, there’s no veil, no layer of color. You’re getting music in it’s most authentic and pristine form which provides the listener with the ultimate musical experience. A complete catalog of their headphone cables could be found and purchased here. The Dana cable is very smooth and liquid. Very human. The DHC is brighter in comparison and more spacious sounding. Dana is more down to earth and easy to listen to. Although room reflections aren’t as apparent. I have to say I enjoy the Dana more than the DHC for this song. Much more emotive. Piano on the Dana sound more realistic. You could hear the dips and carry of her voice much better on the Dana. The DHC sounds a bit elevated to the higher frequencies. The DHC has a MUCH quieter background. No warmth in comparison to the Dana. DHC is better at resolving fine detail, especially room reflections. Dana sound correct. DHC sounds lifted. DHC really misses the organic textures of the voice…which is really important to me. The Peterek cable is definitely flatter and brighter…but not abrasive. A bit dry in comparison to the others. Both are resolving and have about equal amounts of clarity and sharpness. Peterek connectors are a great fit and the cable feels super high-end and luxurious. It’s the more flexible of the bunch. 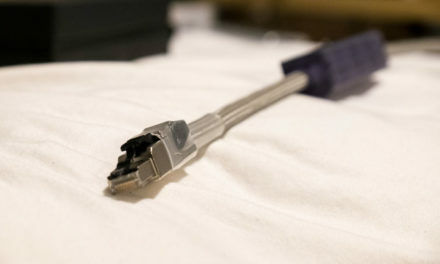 It has alos has the best connectors and aesthetics. The Dana still sounds more rich and full. The Peterek sounds more like a recording in comparison. The Peterek is a bit crisper and more refined. The Dana has more bass presence. More euphonic with a touch of mellow. The Dana has a much more down-to-earth sound. Sub-bass tension isn’t as good as DHC, but overall a very smooth, cohesive sound. The DHC has more of the “you’re there” sound. Amazing detail and low-end response. Vocals sounds better on the Dana. DHC elevated. DHC has a almost infinite black background. More spacious. DHC is more dynamic. Dana more soothing and IMO harmonizes the music better. DHC is more lifelike, brighter, larger soundstage on all directions. 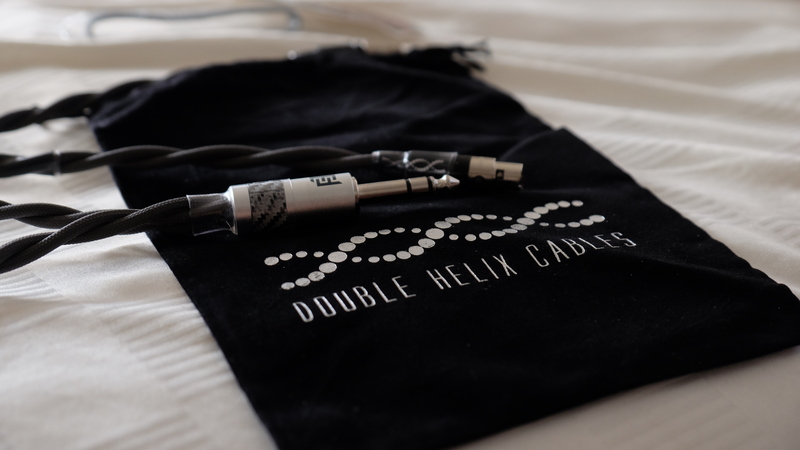 DHC is the better cable but if paired with tube amp would be nice. Blacker background than the Dana, thinner but sounds great. Closer to the DHC sound. Much more clarity than the Dana. Dana sounds a bit congested in comparison. DHC is very articulate and has good shine and textures. DHC has better separation and layering. Dana doesn’t have that sparkle or vibrance but vocals sound a lot more realistic. There’s this coherence and fluid sound to the Dana that the DHC misses out on. The DHC separates much better and better textures but doesn’t have that emotional, warm tone. Vocals sound almost eerie, but elevated towards higher frequencies. Might be better for warmer headphones. The sound of the Dana sounds much more “true” to my ears, especially vocals. Albeit, not as resolving or sharp, not as detailed, and not as dynamic. The DHC stretches the players and they each get their own space. Amazing separation. DHC – immediate clarity and amazing detail. The dips and rolls of her voice are a lot more appealing on the Dana but DHC wins on everything else. Lacks body and texture and depth. Not much atmosphere. Vocals are very delicate and graceful. More pristine and sharp than the Dana. Very elegant presentation. Leaner brighter, no glaring flaws other than being a bit on the flat side. Very easy to listen to. Something about how balanced it sounds. More spacious than the Dana. Dana more sweet & lush. Dana more fuzzy. Different cables different moods? Peterek is very quiet and clean. Dana more closed in. The Peterek definitely has more shiine/clarity and detail than the Dana but lacks body. Dana has probably the most realistic vocals, seductive mid-range but misses a bit on micro-details. Stock cable has this hollow, metallic sound. Sounds like it’s elevated to the higher frequencies with missing information. Congested in the high-end. Lacks texture. Peterek has a much more earthy sound in comparison to the stock. It is MUCH better than the stock. Stock is missing information. Stock almost has this metallic, robotic sound. too lean and steely. tinny. Stock is unlistenable. A lot more energy, smack, dynamic on the DHC. Granted, the vocals don’t have that warm human overtone. It has much better separation. The Dana, I have to admit, has much more natural and realistic tone but misses out on everything else. It’s definitely a warmer cable. A very balanced & clean sound. The Dana has a bit more gritty and grain. Dana is more organic, greyer background, not as crisp, but much better bass. Instruments sound better. Dana cable is a bit heavy. If the Dana cable just had a bit more layering, separation, and shine. Textures and dynamics are better on the DHC by a large margin. The DHC is a lot more dramatic and has a lot more air around the instruments. A lot more emotive. Just lacks texture but is extremely detailed, more than the Dana is. Still flat. Dana is definitely more colored but in a great way. Very palpable and intoxicating sound. The bass is a bit boomy/bloated for the Dana cable. DHC is super tight and visceral and well controlled. Dana misses that holographic wow factor, especially in the first 50 seconds. Bass has much more definition on the DHC. Tons more clarity. Vocals aren’t as smooth. DHC much better separation, better layering. DHC is much more engaging. The DHC is much more detailed, clean, good rhythm. Vocals don’t have that warmth but extremely detailed. Dana more surreal and atmospheric, but bass a bit loose/wooly but nice heft. Vocals are much better. Not as clean and sharp as the Peterek. Dirty. Overall sound of the Dana is more musical. Peterek has much better clarity. DHC has almost the best of both worlds. 3 MC-0.5s worked well for this song – more holographic. Take one away and you lose it. Room reflections. Eerie sound. Dana is no where close to expansive, definitely not as wide as the DHC. Dana: Vocals are the best I’ve heard on any cable. Extension on both end isn’t as good on the Dana. DHC is still more engaging. The DHC does miss important humanistic and emotional cues in the voice. The Dana does this beautifully. A really smooth but flat sound. Lacking a bit of low-end dynamics. Really laid back and calm, not aggressive. Dana has a fuller sound and much more low-end heft. A more human and natural sound. Peterek lacks dimension in comparison. The Dana is a much better cable by a long shot. Pterek comes off way too laid back without texture. DHC has a bigger sound, more texture and much more detailed. DHC misses that humanistic warmth on the voices. To be honest, I think the Dana has the correct tone. DHC has that “you’re there in the front row” sound. Dana a bit fuzzy around the edges. Dana has a cozy sound but doesn’t engage as well as the DHC. The DHC’s timing and speed is much better. Micro-details galore. DHC is more impressive but tonality of the Dana is probably more accurate overall. I think with the DHC, you’re so amazed at the resolution you don’t think of the tone. The tone sounds like it could be right but my ears lean towards more of the warmer stuff. High resolution without accurate colors. Perhaps these songs were mastered with warmer gear. Dana is more cohesive and smooth, it’s a beautiful sound. Just doesn’t have the clarity of the DHC, not even close. Piano sound more realistic. DHC is more life-like. Something inbetween the two would be nice. Dana sound much more closed in. Intimate. Not a lot of air like the DHC. DHC has more of that shrill. Dana such an easy to listen to cable. Very cozy in comparison. DHC = expansive sound. You hear nuances in the voice that is lifelike…vocals are more forward. Goosebump effect. Lots of very useful impressions. ModWright Oppo BPD-105 multi channel analog to Classe SSP-800. For some music the definition, detail, cleanliness of the output was spectacular and super gratifying. But on some music it was just a little too much. I was told by the dealer to give it 60 hours and it would not sound as “hot.” They said after 30 hours should be able to tell if it was starting to cool off. But I swapped in my copper interconnects because they work well for everything and I am not patient enough to wait 30-60 hours. Would like to try them again but it is a hassle swapping 6 cables. Did you do any break in of your cable before your evaluations? Also, what sources were you using for your headphones? Hey Leo, glad you found the review helpful. It would be great to have a device between the amp and headphone to adjust mid-warmth. All the cables are broken in at least 50 hours (although FWIW most headphone cable makers I’ve spoken to don’t believe in cable break in). My source/amp was a Chord DAVE. Hey Steve! I’m quite sure the Complement4/Spore4 are the very best cables you could get for the HEK. I’ve heard the HEK with the Spore4 (thanks to Roy) and it was the best I’ve heard the HEK (many other seem to agree). DHC now has a new flagship called the Prion4 which I’ll hopefully have here in the lab in a few months. I’m still looking for the very best cable for my Abyss… Reading your review about the Complement4, I’ m tempted to buy it… BUT… What about the new Prion4? Best regards and thanks for your help! I do have the Prion4…I’ll be posting a review soon. So far it’s a lot more expansive, dynamic, and detailed than the Complement4 but I think it comes at a cost of being a tad bright for the Abyss. I’ll have to do more testing. … and a comparison head by head with the JPS Superconductor? The Complement4 is better? The SC was a great sounding but a borderline dark for my tastes. Complement4 is the best cable I’ve heard with the Abyss so far. Very interested to read your review about the Prion4 (I have it on order…). I ‘d like to know which DHC do you prefer for the Abyss… Complement4 or Prion4?